Is Ocarina of Time 3D Better Than You Expected? I know when I played the game a couple weeks ago I was pleasantly surprised at how much better the game was than I was expecting to get. I didn’t call this version of Ocarina of Time the best version of the game for nothing, but sometimes people can also expect too much. Take Twilight Princess, where I think the fans really over hyped what Nintendo was selling and we simply made it impossible to deliver on. This time around it appears fans were more skeptical than excited. No one said remaking Ocarina of Time was a bad thing, most just questioned the real reason to do it outside of making a money grab on one of Nintendo’s best games. Could Ocarina of Time realistically be improved? Lets put aside Master Quest for now, which we know has seen some slight changes from it’s first release and just focus on the main quest. Is it better than you thought possible? Are you stuck? 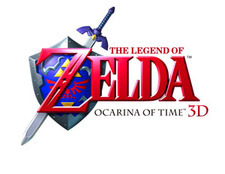 Be sure to check out our full Ocarina of Time 3D Walkthrough.